KID CASH alias Christian August is not only a member of the famous Berlin based crew KLUB7, he is also an artist who found his own way of expression. In this upcoming solo exhibition at Urban Spree Galerie he will present large-scale artworks on canvases under the title „VERY NECESSARY“ form 31th of March 2017 until 22th of April 2017. For the show he also painted the 15 x 8m artist wall on Urban Spree’s facade facing Warschauer Straße and provided us an insight into his art. 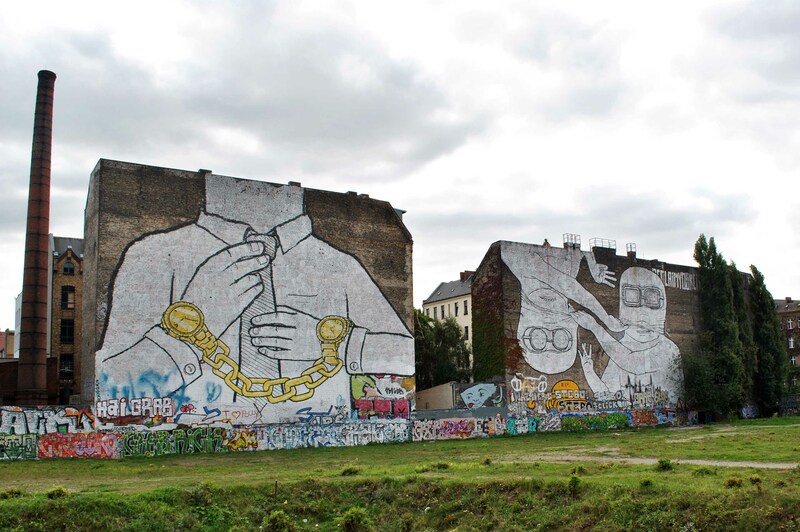 Street Art Berlin: How do you see yourself and you art at the moment? KID CASH: I would call it post-graffiti because the times have changed. First there was graffiti – which I also did as an artist since 1994-, then there was street art with all the stencils, paste-ups and patterns and now it developed itself as a post-graffiti or post-urban-art. For me the shape itself is main part of my art. Of course it is based on letters – like graffiti- but it isn’t readable. The different layers of my artworks are more important than to have a function. 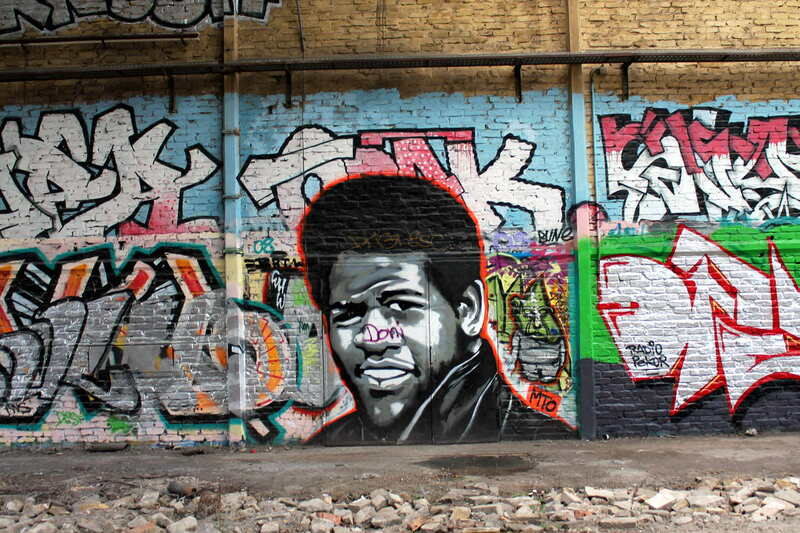 Street Art Berlin: Is there something or somebody who influences you? KID CASH: Yes, I am often impressed that I have ideas or abstract theories which had famous artists like Matisse, Picasso or Hans Arp already 100 years before. That is weird. It is as if my art or my expression as an artist is in the same situation as theirs long long ago. But I am also inspired by the last stage of Matisse´ work: reduced, abstract and a mirror to himself and his current situation. 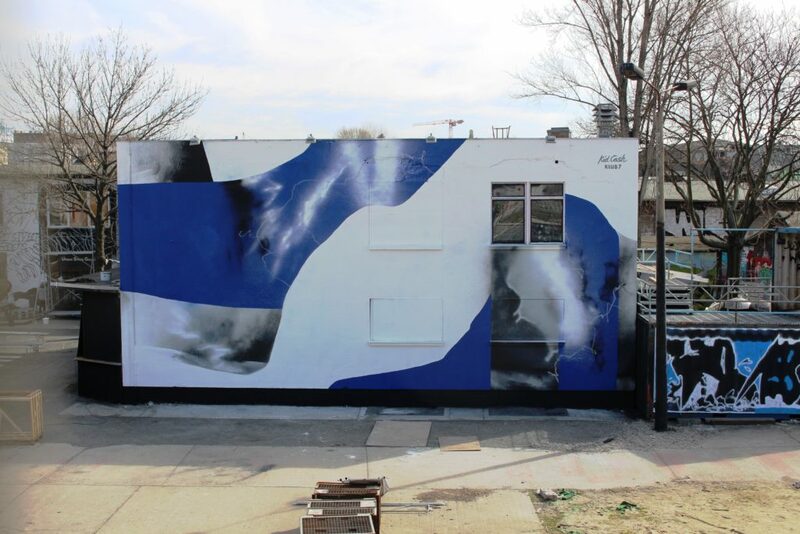 By the way in 2016 I did a mural with KLUB7 in Lutherstadt Wittenberg where the colours I chose have been a quotation to the artwork „The Dance“ of Matisse. 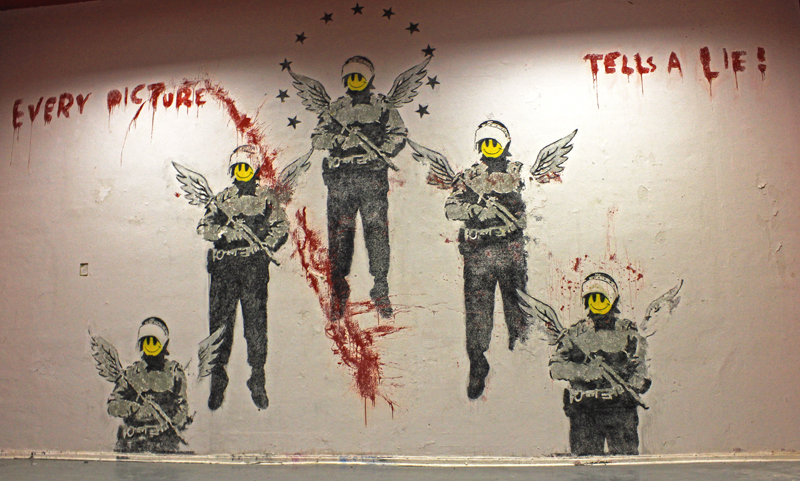 Street Art Berlin: Tell us about your current exhibition. KID CASH: Urban Spree is a huge gallery – really bigger than other ones in Berlin. So I decided to show big canvases. Most of my artworks are about 2 m x 1.5 m. I love big artworks because they are a kind of equal to walls [laughs]. I really like the commitment of my body during art. The body flow is a kind of similar to my work flow – and that is what I prefer in painting. The concept of my artworks at the exhibition is a mix between the fun of painting and the love of cobalt blue. Cobalt blue will be a main colour of the show because is a very abstract shade and has something magical. Street Art Berlin: You are really famous in the streets of Berlin. What’s the realtionship between your street art and your gallery pieces? KID CASH: I never saw a sense in bringing the real art from the streets – that means street art as well as graffiti – into the galleries. Outside is outside with it´s eviroment and it´s concrete and inside is inside with canvas. It is another medium. So in my opinion the artist need to change his requirement to himself in realising that another playground needs other skills. 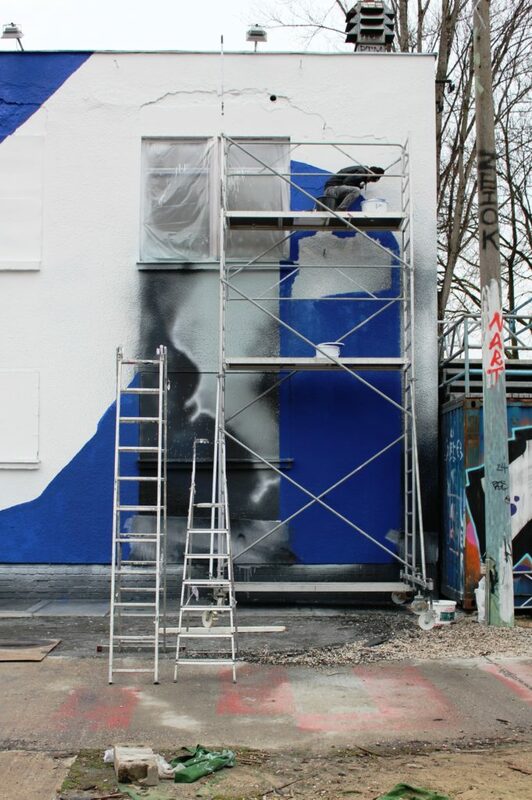 Street Art Berlin: Let us know why we need to see your solo exhibition? KID CASH: Exhibitions are a very interesting spot to meet people. At exhibitions all people come together to see each other and the art. And precise on my show the visitor can see abstract painting in the background of post-graffiti-movement.